Shows: The Batman, Batman Beyond, The New Adventures of Batman. Movies: Batman Beyond: Return of the Joker, Batman: Under the Red Hood, Batman: Bad Blood. Games: Batman Begins, Batman: Arkham Knight, Batman: The Telltale Series. 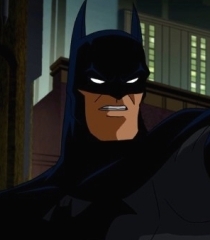 Shorts: Gotham Stories, Batman Beyond, Batman Unlimited.